Can you confirm these amateur observations of Liopeltis tricolor? Types Type: BMNH 1946.1.5.37 (and possibly additional specimens). 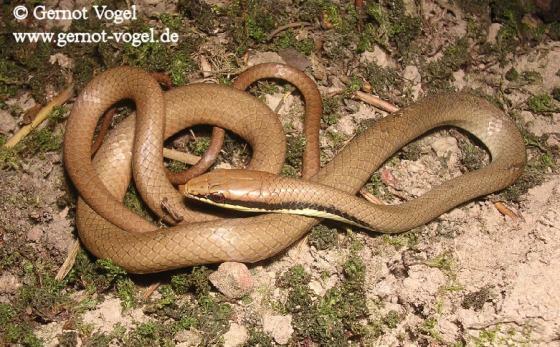 Comment Type species: Herpetodryas tricolor SCHLEGEL 1837: 187 is the type species of the genus Liopeltis FITZINGER 1843. Illustration: in CHAN-ARD et al. 2015, although the drawings of Gongylosoma longicauda and Liopeltis tricolor have been mixed up (fide PAUWELS & GRISMER 2015).